The Faculty organizes different seminars, special lectures, extra mural lectures, debates, conferences, workshop etc. 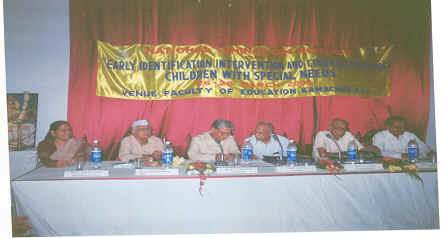 Some of them organized in this academic year 2005-06 are National seminar on Integrating Computers in Teacher Education, Seminar on Teacher Empowerment for a Learning Society, National Seminar on Early Identification, Intervention and Curricular Needs of Children with Special Need, etc. 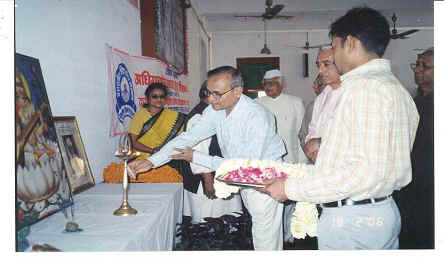 Prof. S. B. Bhattacharya,Ex-Dean & Prof. J. S. Rajput, Ex-Chairman, NCTE and Ex-Director, NCERT, lighting the lamp on the occasion of inaugural of the Seminar on Teacher Empowerment for a Learning Society. National Seminar, March 26-28, 2006. 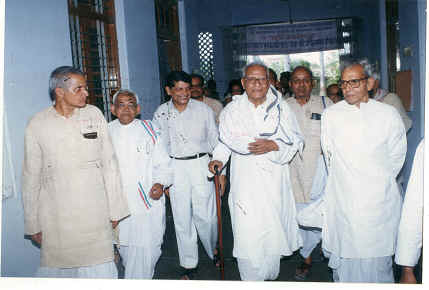 From right : Prof. S. B. Bhattacharya, Ex-Dean, Prof. K. Ghosh, ex-chairman, Jakir Hussain Instt. of Higher Studies, JNU; The Rector, Prof. S. Lele, Mr. R.C. Tiwari, IAS, Chairman, Northern Regional Committee, NCTE; Prof. S. N. Singh, ex-Dean & Member, NCTE; Prof. Asha Pandey, ex-Dean and member RCI Committee.